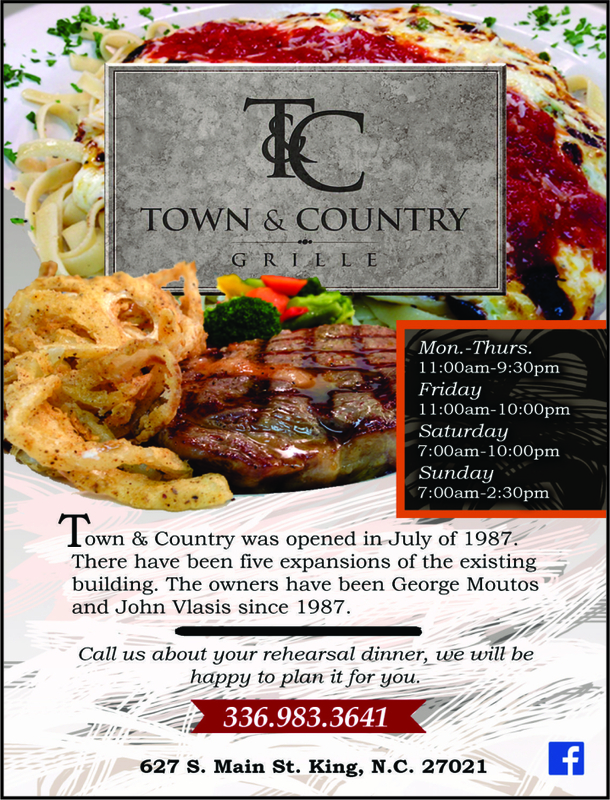 ​This version of Town & Country was opened in July of 1987. The restaurant originally had its beginnings 18 years prior to that. There have been five expansions of existing building. The owners have been George Moutos and John Vlasis since 1987. With the help of family and great employees we have provided King with a high quality dining experience.